Elder … Priest … King … FREE! Official blog post announcement coming soon. But until then, a small excerpt from The Elder, the sequel to The Wounded King which is, like TWK, free right now over on Amazon. The word came again, lost in the earth as she lay on the ground. Fistfuls of dirt clutched in her tiny fists, her neck rolled, tender bones popping while The Seer nodded its head and the mouth open and closed, open and closed. The Child stopped and rose, crouched on hands and knees. “Man … ” she said before she fell to the ground. Her back arched, then released only to snap back into another arch, the head once again low. “From the …” the words came, her face hidden behind her golden hair. The Seer ducked its chin to its flat chest, its large, long hands dropping to its side. The tears came then as she wept, The Child. Her body convulsed with sobs, with hiccups. She tried to crawl away, slipping on the urine soaked ground, trapped by the rope around her wrists. I leaned forward and reached my hand out. But not close enough to touch, to intrude. The Seer raised its head, the long fingers splayed wide as they stretched and reached and grabbed the air, pushing away the Voices. The tears stopped as The Child moaned and then grew quiet. She abruptly rose to her knees, her back straight, arms to her side and her chin to her chest, the mouth now open as drool leaked from her lips. “From the mountains?” I insisted. It gasped, The Seer, its head back, the fingers quiet and still, the ribs rising and falling as it fought for breath. The Child lifted into the air. Her knees left the ground, her shins dropping to hang as she rose. The tiny feet dangled as she lifted higher and higher, her chin in her chest, her face still buried under a sheath of shining hair. “Elder … Priest … King,” she said, the voice low as it echoed the Whispers. “Yes,” I replied, my voice weak. “Yes,” I said again, stronger. The head rose and the hair fell away from the sweet face. Her mouth stretched wide as she tried to speak, the jaw again a series of pops and cracks as it opened and closed, opened and closed. She stopped, trapped in midair, the jaw frozen in a silent scream as The Seer attempted to speak through her. And then she began to bleed. A sacrifice. A dying King. Bones in the stone, blood in the wine. A Queen consumed by the Darkness. From ancient Uruk, The Almost King tells his tale. Of The Elder and his cunning Priests in their robes of red and gold. Of an Old Woman who can call the power of the Dark Gods. Of his mother, the Queen, and his dying brother, the King. And of the Darkness, an evil from before the Time of the Moon. Inescapable, its hunger never-ending, its shadow fed by the Priests, slowly overwhelming his family. Drowning in a sea of red and gold, the Almost King battles an unwinnable war as he navigates the wreckage towards his fate as … The Wounded King. 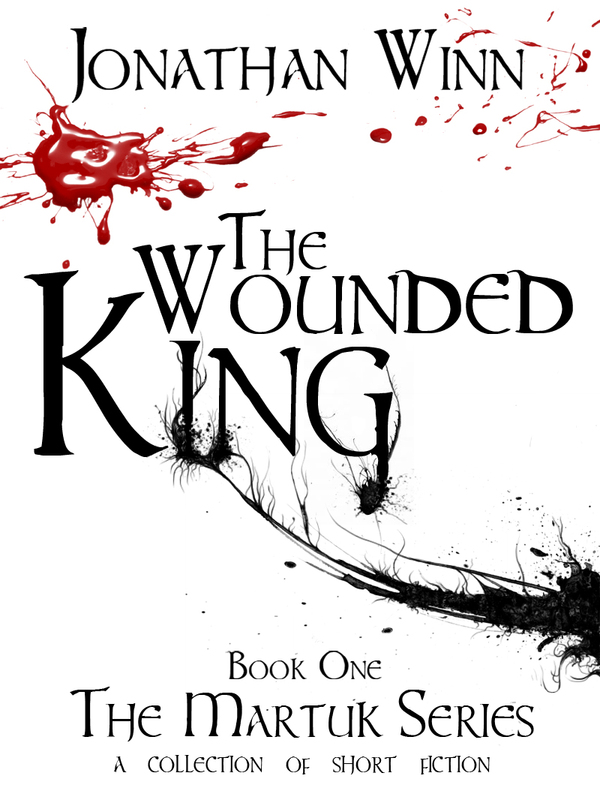 The Wounded King is the first in a short fiction series based on the full-length novel Martuk … the Holy. 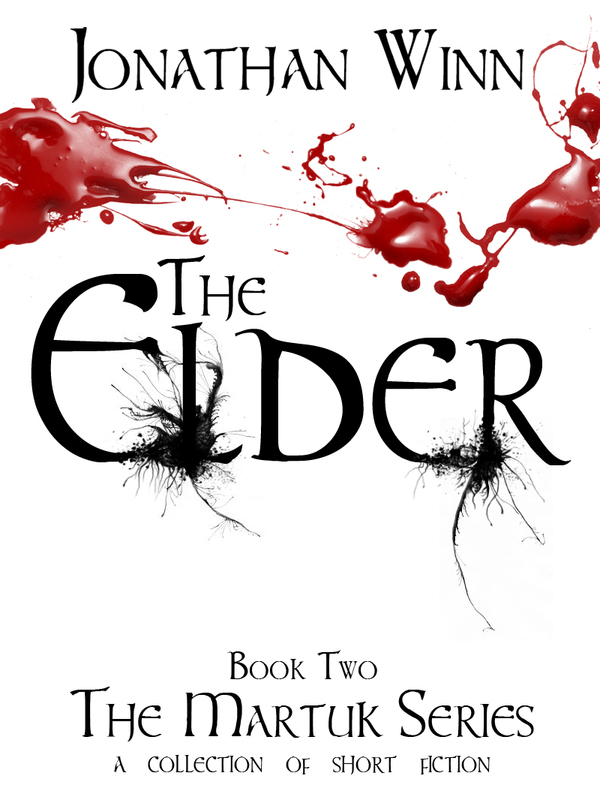 But not only am I running a Free Promo for The Wounded King, I’m following it with free promos for The Elder and Red & Gold (books Two and Three of The Martuk Series) with Martuk … going for free on Halloween.